The B2B social media landscape is always evolving. One day Facebook Bots are on the rise, the next Instagram launches IGTV. Yet one trend remains constant: LinkedIn is the go-to platform for B2B companies, with 97% of B2B marketers integrating LinkedIn into their lead generation strategy. 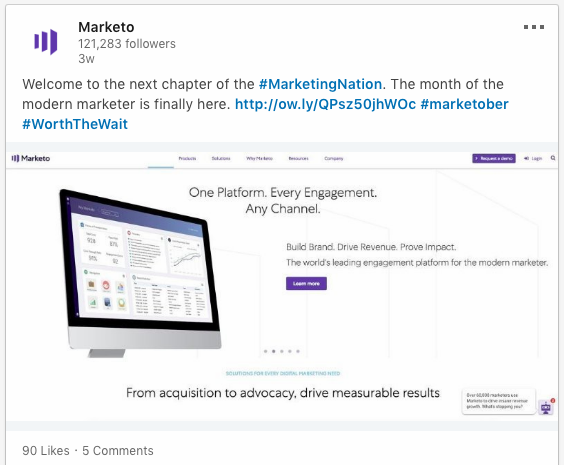 While the LinkedIn code has been relatively easy to crack, its latest features present new opportunities for B2B marketers to master. In this article, we shed light on 4 LinkedIn trends that you should harness for greater engagement. Abused on Twitter, embraced on Instagram, and almost avoided on Facebook, hashtags have recently emerged as a popular LinkedIn trend. Taking a similar approach to its counterparts, LinkedIn allows users to include hashtags in their posts and search for relevant ones. The biggest difference in using hashtags on LinkedIn versus on other platforms is keeping them minimal, readable, and focused. Make them extremely relevant to your content, company, and industry, and stick to no more than 5-6 hashtags per post. They can be used at the end of your status update or incorporated within the context of the post. 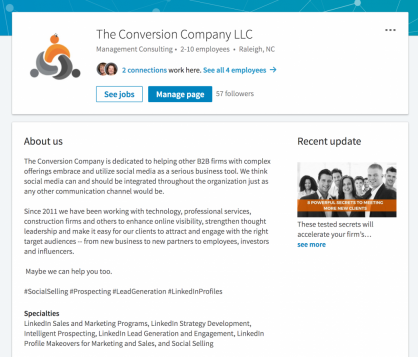 Include hashtags on your LinkedIn company page: Include relevant hashtags into your About Us section. This is just one way to associate your company with certain solutions and industries. Weave hashtags into your comments: Next time your social media team comments on someone’s post or responds to someone else’s comment, include some hashtags to help categorize the status updates on LinkedIn. Monitor hashtags for new opportunities: Just as you would monitor hashtags on Twitter and Instagram, the same can be achieved on LinkedIn. It’s a great way to discover industry thought leaders and engage with their posts. We’ve all gotten the memo: social videos are everywhere! Looking to get with the program, LinkedIn has finally introduced video into its own newsfeed. Unlike on Facebook, Instagram, and Twitter though, live videos are not yet available on LinkedIn but it does allow you to record a video directly within the platform. Many B2B companies have already begun experimenting with LinkedIn Video, and according to Vidyard, 90% report that video converts better than other content types. Optimize your video length: Limit your videos to maximum 10 minutes. Stick to certain formats: Explainer and thought leadership videos are the most popular format on LinkedIn. Tell a story: Instead of opting for dry, robot-like videos, present a real challenge your audience is facing, and then explain how your product caters to it. Use compelling visuals: You need exciting, moving, and powerful imagery that will rivet your audience and arouse their appetite for more. Speak to your audience’s emotions: Videos that make viewers laugh, cry, or feel inspired, have far better chances of being engaging and shareable. Maintain consistent branding: Your brand is a calling card of sorts, and you want people to start recognizing it and associating it with your corporate values. Consistent visual branding and messaging are the key to achieving that. Write detailed descriptions: Make sure the description is accurate. Misleading descriptions will make users drop off halfway through the video, which will negatively impact your video ranking in newsfeed algorithms. Don’t forget subtitles: People watch videos at work, on public transport, or even at restaurants, which means they’re likely to have the sound off. To make sure your message doesn’t get lost in translation, add subtitles so they can still enjoy and understand the content on mute. End with a clear call-to-action: Let your audience know what you expect them to do next with a call to action. It can be subscribing to a blog, following your page, or even requesting a demo of your product. Keep the conversation going with the help of clear CTAs, and your audience will come back for more. Every day, employees have conversations on social media, post about their company, and share pictures of their workplace. These pre-established habits can easily be tapped into for your LinkedIn marketing. Imagine your entire workforce – or even just specific departments – sharing the content that your marketing team creates to their personal LinkedIn profiles. The magnitude of employee advocacy goes beyond content amplification. It’s a way to authentically deliver your message, boost employee engagement, and garner more qualified leads. But empowering employees to share content to LinkedIn is not a “one-time” solution. 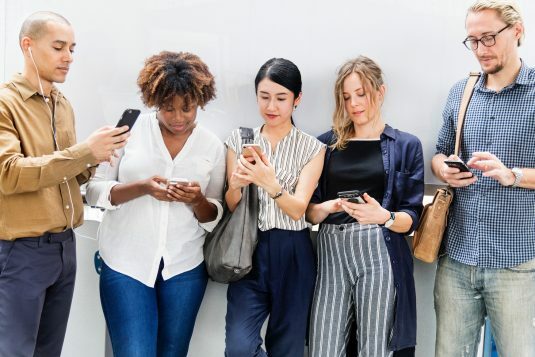 Implementing a sophisticated framework in which employees are consistently provided with content and incentivized to share it, takes time to plan and strategize. We believe the best place to start is with a pilot – a small program, focused on a selected group of “Social Stars” can go a long way towards demonstrating the value of advocacy to employees and to upper-level management. You can ensure a quick start with our Employee Advocacy Checklist. If you’re looking for a more comprehensive step-by-step plan, download our Official Guide to Launching an Employee Advocacy Program. Above all, LinkedIn is mostly used for career advancement. Individuals go on LinkedIn to get ahead in their job, expand their professional network, and seek industry knowledge. The best place to start on LinkedIn is with Groups. 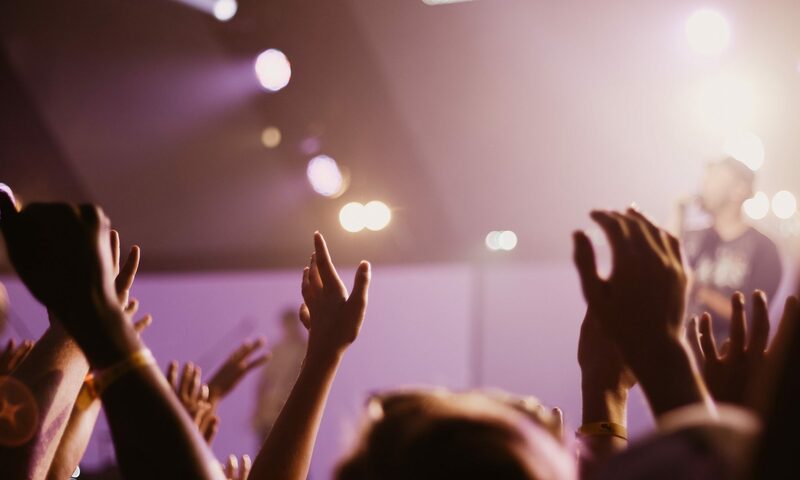 The beauty of Groups is that it’s an established community for thought leaders and relevant prospects, meaning that your marketing team should be there too! Keeping a high profile on industry-relevant Groups offers an additional channel for distributing your content, engaging with members, building relationships, and so forth. The key is to be very particular about the Group that you join and the information you choose to share with its members. After all, you don’t want to be perceived as a “spammer” or “troller”. To give an example, our marketing team joined an Atlanta jobseekers group to recruit new talent. As a result, the number of job applications skyrocketed and our team was exposed to a much bigger pool of qualified candidates. Likewise, posting branded content to relevant groups will expose it to more of your target audience and increase engagement around it. Social media trends come and go, but LinkedIn remains the epicenter of B2B marketing. 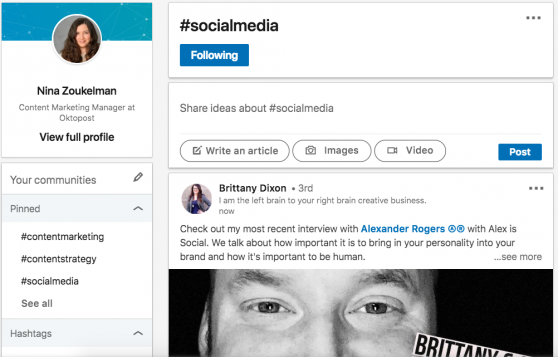 Every few months, LinkedIn introduces new features and algorithm changes that ultimately affect the way your team distributes content and engages in conversations. 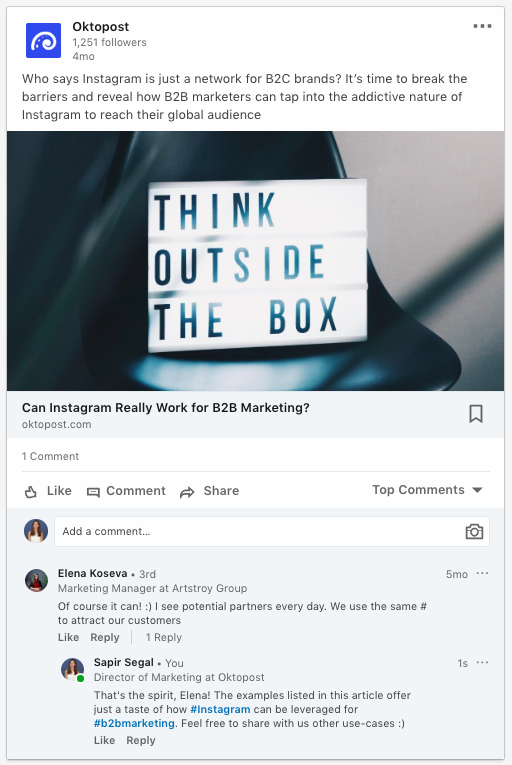 Hashtagging your content, uploading video, and joining groups are all great examples of LinkedIn trends that you want to be tapping into for keeping it fresh and relevant with your audience. To learn more LinkedIn tactics, check out our Social Media Marketing articles.